Whether you call her mom or mum, make sure you make her a special cake this mother’s day. I now that Mother’s day is on a different date depending on where you are in the world, but in the UK its this coming Sunday. Make sure you’ve got all the ingredients in and show your mom how much you love her in cake form. The cake isn’t just any cake, its a lemon velvet cake. It’s perfect for this recipe (and for spring in general). It’s packed with a lemon-y punch and finished with vanilla buttercream, it might not sound like it but these work really well. 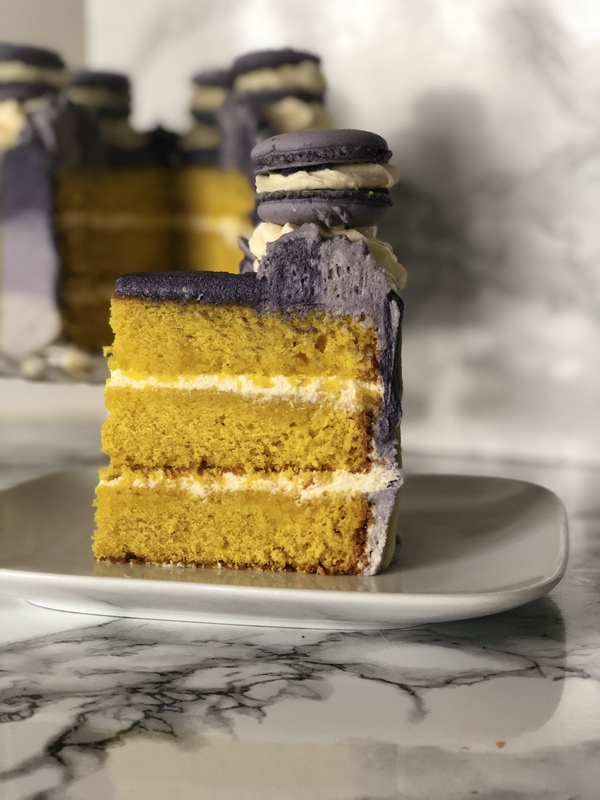 You have 3 layers of lemon velvet cake, brushed with a lemon simple syrup and then finished with a ombre vanilla buttercream coloured in 3 shades of purple – the colours are customisable to suit you better! To start, you’ll want to make the macarons. These are normally something that can be difficult to make but if you use the method I have provided, you will find them easier. Into a large bowl add in the egg whites and the colouring paste of choice, then give it all a good mix until well incorporated. Into a separate bowl sift together the ground almonds and icing sugar a few times, this is to remove any big lumps that may be in the ground almonds. Once you’ve sifted them together, you can then add the dry mix to the coloured egg whites and give it all a good mix until everything is combined, set aside until needed later on. Into a small saucepan, place the water and sugar and place a medium-high heat, until it achieves 118c/. Into a clean mixing bowl (I opted to use my stand mixer bowl), place the egg whites and whisk them up until they are frothy, then add the sugar and whisk until its incorporated and has reached soft peaks. After that pour in the sugar/water mixture (make sure you turn your mixer speed down to the lowest setting, getting this mixture on your skin would result in a burn, so be extra careful. Pour the hot mixture down the side of your bowl, avoiding contact with the whisk). On wall of the hot mixture is in the egg whites, crank the speed up to high and whisk until the mixture is smooth and glossy and the bottom of the bowl will be cool enough to touch. Now that you’ve got your meringue mixture and coloured almond mixture, you can combine the two. Simply spoon about 1/3 of the meringue mixture in and fold it in until it’s fully incorporated, then repeat with the remaining 2/3 of meringue. The mixture will change in colour and consistency, this is normal, it’s a sign that the ingredients are combined. Give the bowl a good scrape down, just to incorporate any bits that may not have been fully worked in from earlier on. The place the macaron batter into a piping bag. Make sure all of your baking trays are lined with greaseproof/parchment, the. You can snip the end off of the piping bag and start to pipe out the macarons, i recommend you download a free template offline and print it off, unless you’re confident. Pipe out however many you can get on your tray, then tap the tray on the countertop, this will bring any air bubbles to the surface, then leave these for 30-60!minutes, or until a skin has formed on top of the, macarons (simply touch the top and if mixture sticks to your finger, it’s not ready). While you wait for them to dry, preheat your oven to 180˚c/350˚f. Once the macarons are ready, you can place them in the oven and bake them off for around 12 minutes (give or take a few minutes, they shouldn’t colour very much). Once out of oven, you can take the parchment/greaseproof off the baking tray an allow them to cool fully before removing from the greaseproof/parchment. Now that the macarons are made, it’s time to start on the cake. This isn’t your typical lemon cake, it’s a lemon velvet cake – if you like a strong lemon flavour, this is the cake for you. Do some prep work before you start baking. Weigh up your ingredients, preheat your oven and prepare your cake tins if they need it. To start on the cake, you’ll want to get yourself a large mixing bowl and place in the butter and sugar, then beat them together until they are well combined. Scrape down the sides and bottom of your bowl, this is just to help incorporate any bits that may no have been fully worked in earlier on. The next stage is to add the eggs in, one at a time beating well in-between each addition, try not to add more than one at a time, otherwise you may scramble the mixture and this isn’t ideal (if you do happen to scramble the mixture, it’s not the end of the world. Simply add a tablespoon of the flour you’ve already weighed out). Next you’ll want to add the colouring and flavourings, for me this is lemon yellow by Wilton and I’m flavouring my cakes with lemon zest, add these into the mixture and beat them until they are fully incorporated. Give your bowl another good scraping down. Now you can start adding your dry and wet ingredients, don’t forget to start and finish with the dry ingredients, once they are all fully incorporated, give your bowl a final good scrape down. Then you can add in the bicarbonate of soda and then pour over the vinegar and allow to fizzle, then give it one last mix, just to work in the raising agent. Take your cake batter and weigh it, the take this amount and divide by 3 and then weigh that exact amount into each cake tin. This is my preferred method of dividing the cake batter but feel free to eyeball it and guess how much is in each tin. Bake in your preheated oven for 25-27 minutes (or until a tester comes out clean). While your cakes are in the oven baking, this is the ideal time to make your buttercream and simple syrup. To make the buttercream, place your butter into a mixing bowl and beat for a couple minutes until its softer and more spreadable, then scrape down the sides and bottom of the bowl, add in your first half of icing sugar then give it a good mix for a few minutes, then scrape down the bowl again and repeat with the remaining icing sugar. Once the second half of icing sugar is added and fully incorporated, add in the vanilla extract and mix until fully mixed in, set aside until needed later on. For the simple syrup place the water, lemon juice and sugar into a small-medium saucepan and place on a medium-high heat and allow to come to a boil, then leave to cool down fully before use. Once the cakes are fully baked, remove from the oven and allow to cool down fully. 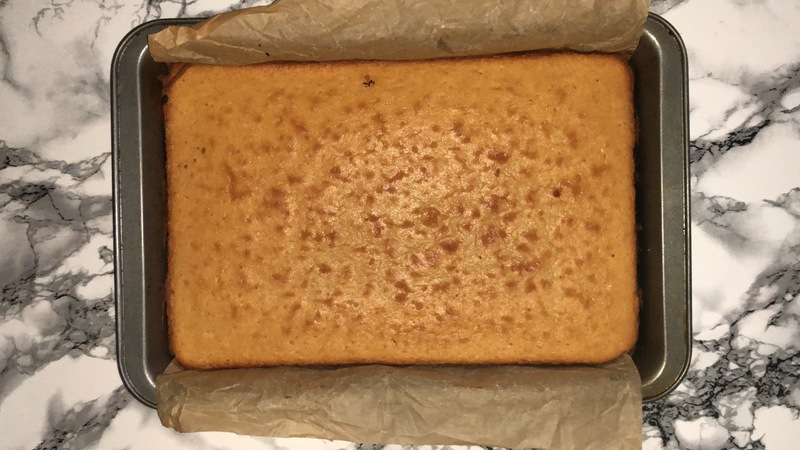 Once the cakes are fully cooled down, you can then level the top off each cake and give them all a generous brushing of the lemon simple syrup (using lemon will only enhance the lemon flavour, great if you like a strong lemon flavour). You can then layer the cakes together with a good amount of the vanilla buttercream, once layered/stacked you can then give the cake a crumb coat, this is just a thin layer of buttercream that will lock in the crumbs and not ruin your final layer of buttercream. Chill in the fridge for 30-45 minutes or until firm to the touch. To finish the cake, colour your buttercream into 3 colours. 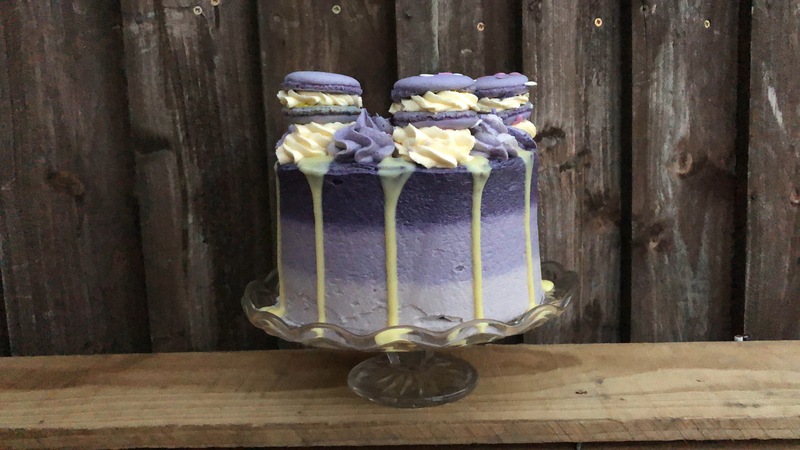 I opted to go with 3 different shades of purple, I start with the lightest at the bottom and finish with the darkest on top, pipe equals amounts of each onto the cake, then smooth it all out as best I can with my cake scraper, you may need to scrape the excess buttercream onto some greaseproof paper and if there are any gaps/spaces, fill them in and smooth them off until you’re happy. You can finish the cake however you like but i piped rosettes on top (and topped them with macarons) and a white chocolate drip, the drip is optional. For the chocolate drip, I place my double cream into a saucepan and place a low-medium heat just until it’s almost boiled. Pour the hot cream over your white chcolate, allow it to sit for 1 minute, then stir until its smooth, transfer into a piping bag and use from there. 1 tsp Bicarbonate of soda. Do you need a quick recipe for Valentine’s Day? Look no further, I’m share with you how to make this no-bake cheesecake tart. This recipe is a twist on my more traditional no-bake cheesecake, after thinking about how I could improve or change the recipe. After being on Instagram and Pinterest for a short while, I saw there was the odd cheesecake tart, I didn’t follow any of the recipes that I found as I had the basics covered and that’s all you need. So I take my simple no-bake recipe and make some changes, mostly lowering the amounts of each ingredients as I don’t need as much for this tart. If you have seen any of my other cheesecakes before, you will know that they have a thick consistency but this one was slightly less so, but it still set nicely. Before you start working on the tart, you’ll want to do some prep work. Get the pie/tart tin ready and weigh up all your ingredients. To start the tart, you’ll want to make the base (and sides) which is super simple and only requires 2 ingredients – digestive biscuits and melted butter. You’ll want to make the digestive biscuits into crumbs (it will look like sand once ready) and you can do this 2 ways – method one is the easiest and it’s to use a food processor, blitz the biscuits for a few seconds until they have reached a crumb consistency. Method two is too place the biscuits into a ziplock bag and crush them using a rolling pin, this takes longer but works equally as well. Once you’ve got your biscuit crumbs, you can then add the melted butter and either blitz or mix in the butter until it’s turned to wet sand colour. Place the biscuit mixture into the base of your 9 inch pie/tart tin and get yourself a cup measurement or something similar and start to compress it down, while you do that you’ll also want to press it out towards the edge and build up the sides, it may take some time to get the edges just right but it’s all worth it in the end. So take the time needed to get the base and sides as level all around as possible. Once you’ve got the biscuit base sorted, you can then go ahead and place that in the fridge to firm up while you make the filling. To make the cheesecake filling, you’ll want to get yourself a medium-large mixing bowl and place in the soft cheese, icing sugar and vanilla then give it all a good mix with either a hand whisk or a electric mixer (whichever you have or prefer to use). Once all the ingredients are fully incorporated, add in the jam (I used strawberry as I knew it would turn the mixture pink but feel free to use whatever flavour you’d like) and give it all a give whisk together until the jam has been worked in fully, if possible, try and use jam without bits, it will help the mixture to stay smooth. Add in the double cream and whisk until the mixture thickens up – mine was looser in consistency as it was warm in my kitchen but it set up alright. Now you’ll want to take your tart case out of the fridge and add in the filling into and level it off as best you can, then place back in the fridge for 8 hours or overnight (which is preferred by me personally). The longer you allow it to chill, the more it will firm up. The following morning, I take the tart out the frIdge and remove it from the tin. I set it onto my decorative plate but feel free to use whatever you have, a cake stand or normal plate will work well. One last thing before we finish the tart off, which is optional but seeing as Valentine’s Day is today, why not put something romantic on top, so I did. I piped the word ‘love’ with seedless strawberry jam. You can then cut and slice it as your wish, this tart is like a cheesecake but in a different form – if you like cheesecake recommend trying this recipe out! Strawberry jam, seedless and in a piping bag (with no tip). No baking times as this is a chilled dessert, so up to 8 hours chilling in the fridge. Do you like chocolate chip cookies? Do you like cupcakes? Why not combine the two to make these super simple and delicious cupcakes? 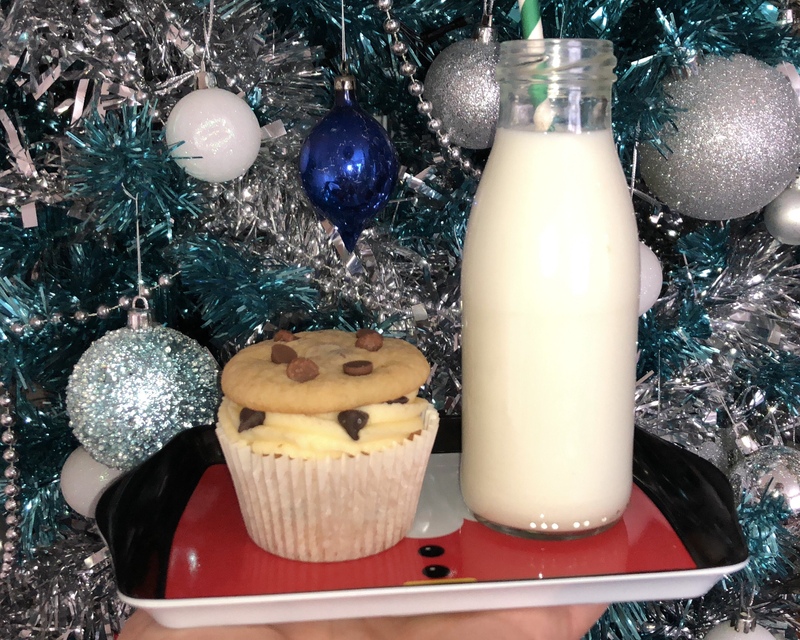 These cupcakes are the perfect treat at any time of year but even better around Christmas, they are the perfect treat to leave out for Father Christmas on Christmas Eve (or scoffed down on Christmas day, I’m not judging!). Anyway, you can make either the cookies or cupcakes first but I went with the cookies. These are the same cookies I have made in the past, they have a great flavour and are the perfect size to top the cupcakes with. By combining the two simple elements, you get a very tasty treat that isn’t too complex to make or in flavour. Before you do any baking, you’ll want to do some prep work – this will save you time in the long run and stop you faffing about later on. Preheat your oven to 180˚c/350˚f, line your baking tray with some greaseproof/parchment paper, place the cupcake cases into your muffin pan and weigh up all your ingredients into suitable size bowls. Don’t forget to wipe down the counters and get your mixer ready. I started by making the chocolate chip cookies but you can start with either, it doesn’t matter. To start on the cookies, get yourself a large bowl and place the butter, granulated white sugar and light brown sugar into it. Mix the three together over a medium-high speed until they are well combined and you can’t see a trace of a single ingredient. Once they’ve become fully combined, give your bowl a good scraping down – this is to work in any bits that haven’t been fully worked in, then add in your eggs one at a time, beating well in-between each addition. Add in your vanilla and give a quick mix to combine it – the scrape down the sides and bottom of your bowl again to incorporate any bits that haven’t been fully worked in. Sieve your dry ingredients into the same bowl, then add in your chocolate chips and mix on a low-medium speed until everything has combined, once its all come together it will be a dough that will hold it’s shape well. Scrape the sides and bottom of the bowl again, then start to scoop up the dough (granted this recipe will result in more cookies than you’ll need but you can scoop each ball of dough up, then wrap them up and freeze them, or bake them all off and have a few left over to enjoy). I only used one ball of dough for each cookie and flattened it slightly then baked in your preheated oven for 10-12 minutes or until golden brown around the edge. Once out the oven, place a few additional chocolate chips on top of each cookie then allow to cool on the baking tray for a few minutes before transferring onto a cooling rack, to cool completely. 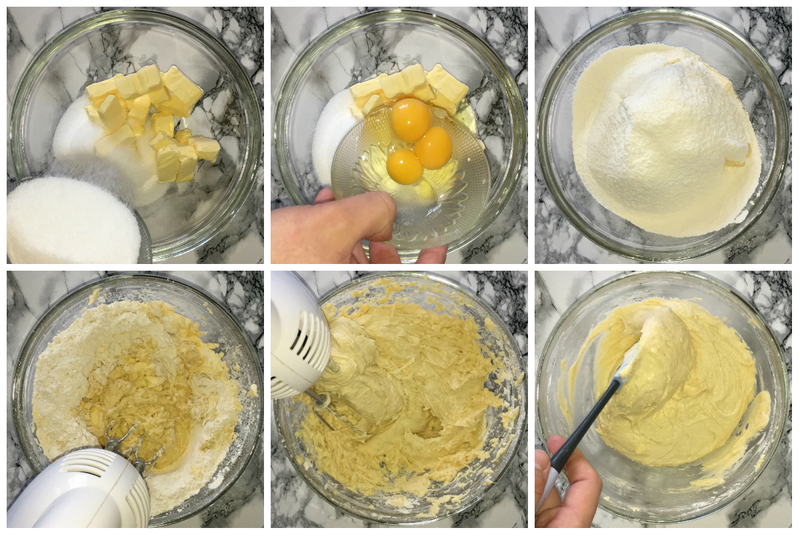 Making the cupcakes is super simple, start by placing the butter and granted white sugar into a mixing bowl and beat the two together until they are lighter and fluffier in colour and consistency, this only takes a couple of minutes. Once you’ve achieved that, scrape down the sides and bottom of your bowl to incorporate any bits that may not have been fully worked in earlier on. Add in your eggs, one at a time, beating well to incorporate each one. Try not to scramble the mixture, but if this happens, don’t worry, you’ll be able to fix this by adding dry ingredients very soon. Once the eggs have been fully incorporated, add in the vanilla and just mix to combine – scrape down the sides and bottom of the bowl again. Add in the dry ingredients by passing them through a sieve first, this is to remove any lumps that may appear in the mix. Incorporate the dry ingredients into the buttery mixture over a low-medium speed to start with, working your way up to a medium speed and allow the mixture to come together until there isn’t a trace of a single ingredient to be seen, also at this point you’ll want to add in the chocolate chips- try not to over-mix the batter at this stage, otherwise your cupcakes will be tougher textured than they should be. Divide the batter between your lined cupcake cases (I used a piping bag but feel free to use two spoons). Bake the cupcakes in the preheated oven for 20-22 minutes. While the cupcakes are in the oven baking, feel free to make the buttercream. This is so simple and it requires only 3 ingredients – what’s not to love? Place your butter into a bowl and beat it until its lighter and fluffier in consistency – this takes a couple of minutes but is totally worth the time invested. Once lighter, scrape the sides and bottom of the bowl and add in half the icing sugar, then beat on a low speed to start, working your way up to a medium-high speed for a couple of minutes, then stopping the mixer, scraping it down and adding in the other half of the icing sugar and repeat the process. Once all of the icing sugar has been worked in, add in the vanilla and give a good mix to fully incorporate. That’s how simple buttercream is. Set aside while you’re not using or place into a piping bag fitted with your nozzle of choice. So once you’ve got the cookies, cupcakes and buttercream made, you can assemble them all together. Start by getting your cupcake and piping on the buttercream, using your nozzle of choice. Then add a few chocolate chips around the edge of the buttercream, then top each cupcake with a cookie and enjoy! Here are all the ingredients you’ll need and a shorter, more summarised method along with the video! Prepare by preheating your oven to 180˚c/350˚f, lining your tray with greaseproof or parchment paper or generously buttering the tray and weighing up your ingredients. Place the butter, granulated sugar and light brown sugar into your mixing bowl of choice. Beat them all together over a low-medium speed until well combined. Feel free to use a wooden spoon, electric hand mixer or stand mixer. 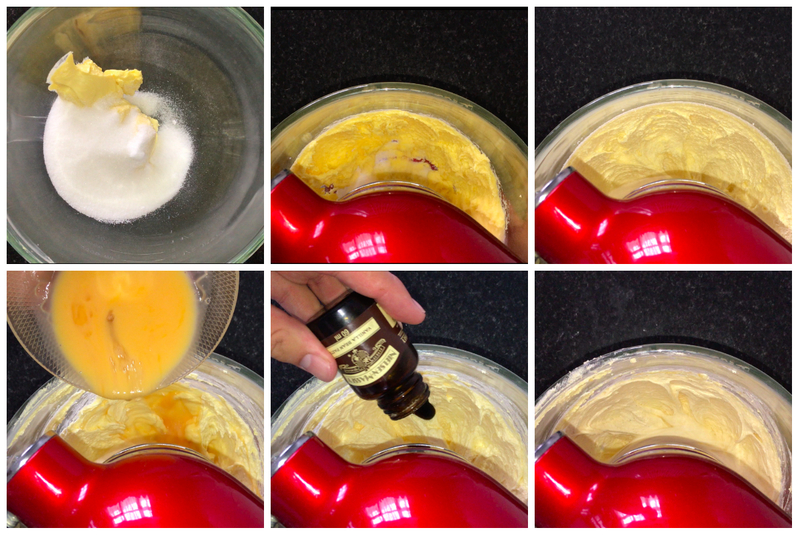 Once well combined, add in your egg and vanilla extract and mix on a low-medium speed until well combined. Scrape down the sides and bottom of your bowl, this is to incorporate any bits that haven’t been fully incorporated from earlier on. Add in your plain flour, baking powder and salt. Pass them through a sieve to remove any lumps and then once all of the dry ingredients are in the bowl, fold/stir them in using a spatula just until the flour is almost fully incorporated. Add in your chocolate chips and stir/fold these in until the dough is clear. Once you’ve got your dough, you can then use a cookie or (small) ice cream scoop to scoop up small amounts of the dough then round them up using your hands, then flatten them (they will spread a little but not a lot while baking, you can freeze at this stage if you like). Bake them off in your preheated oven for 10-12 minutes (I found 11-12 minutes was perfect for me). Remove the tray from the oven and allow the cookies to cool on the tray for 4-5 minutes then transfer them to a cooling rack to cool completely. This recipe makes 24 cookies. Do some prep work before you start by weighing up all the ingredients needed, check your oven has been preheated to 180˚c/350˚f and line your muffin tray with some muffin/cupcake cases. Place the butter and granulated white sugar into your mixing bowl of choice and beat them together for a couple of minutes until they are well combined. Scrape down the sides and bottom of your bowl, then add in your egg and beat it over a medium speed until its fully incorporated. Add in the vanilla and mix to incorporate. 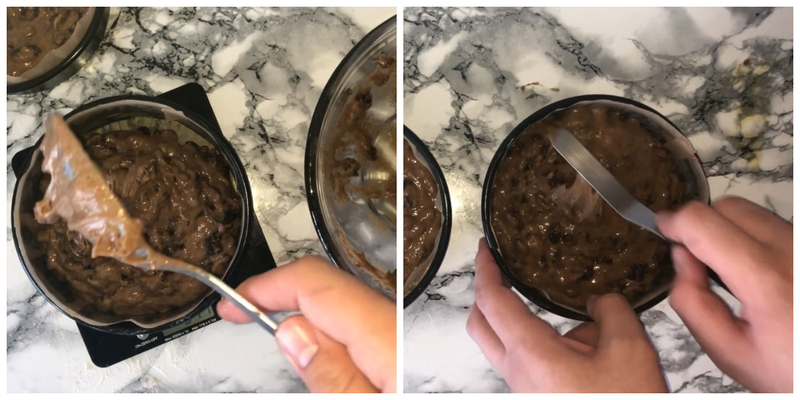 Give your bowl another scrape down then add in dry ingredients but passing them through a sieve first to remove any lumps that may be in the mix and in the chocolate chips . Incorporate the dry ingredients in over a slow-medium speed to start, then a medium-high speed until fully incorporated – try not to over-mix, this causes the cakes to be tougher textured. Split the cake batter between your pre-lined muffin pan, I find using a piping bag works the best but using two spoons works equally as well. Use whichever method works best for you. Bake in your preheat oven for around 18-20 minutes (or until a tester comes out clean). Once fully baked, remove from the oven and allow the cupcakes to cool for a short while in the muffin pan, then transfer onto a cooling tray and allow to cool completely. Finish the cupcakes however you like but I piped on a good amount of buttercream, added a few chocolate chips onto the sides of the piped out buttercream, then placed a cookie onto each cupcake. Serve and enjoy! The buttercream is really quick and easy to make, to start, place the butter into a bowl and beat it for around 4-6 minutes or until it’s lighter in colour and consistency. Once you’ve achieved that, add in roughly around half your icing sugar and mix that on a low speed to start, working your way up to a medium-high once the icing sugar is incorporated and beat or a short while until fully incorporated. Repeat this stage with he remaining half of icing sugar. Give the bowl a good scraping down and add in the vanilla then mix on a medium speed and mix to incorporate. Place the buttercream into a piping bag fitted with a nozzle of choice or place in a airtight container and store in the fridge for up to 3 days. This buttercream can also be frozen if you don’t intend on using it straight away. Thank you all so much for checking out the blog post (and video if you watched it)! Whether you like them or not, its mince pie season, regardless. These tasty little treats are sweet, spicy and fruity all in one bite. Which can be overwhelming or downright confusing, especially if you haven’t them before. If you’re from somewhere in the world that doesn’t have these easily accessible, don’t worry. Despite the name, the mincemeat is sweet (made most of dried fruit, sugar, spices and alcohol) and doesn’t contain a single gram of meat. Many years ago they would have been meat based but they have evolved to become what we know and love today. I thought that mincemeat was available around the world, but it isn’t. Don’t worry I have already uploaded a recipe on how to make mincemeat here (which is actually super easy, it just needs some time to mature). Some prep work won’t go amiss here. Preheat your oven to 180˚c/350˚f, weigh up your ingredients and get any equipment you may need ready. The pastry isn’t exactly hard to make, all you need to do is beat the sugar and egg together, then set it aside until later on. Into a bowl or food processor place the flour, salt and butter then combine them together by either rubbing the butter into the flour or pulsing them together in a food processor (I went with the food processor method on this occasion. Mostly because I as short on time and my hands are warm and often heat up the butter, which isn’t what you want while making pastry). Once they are combined, add in the egg/sugar mix and work it into the flour/butter mixture. This will bind the dough together, work them together until almost fully combined then tip out onto a floured surface to knead the pastry together. You’re looking for a clear dough, with no traces of a single ingredient. Wrap in clingfilm/plastic wrap then chill in the fridge for around an hour, this is to allow the butter to firm up and the gluten to relax. 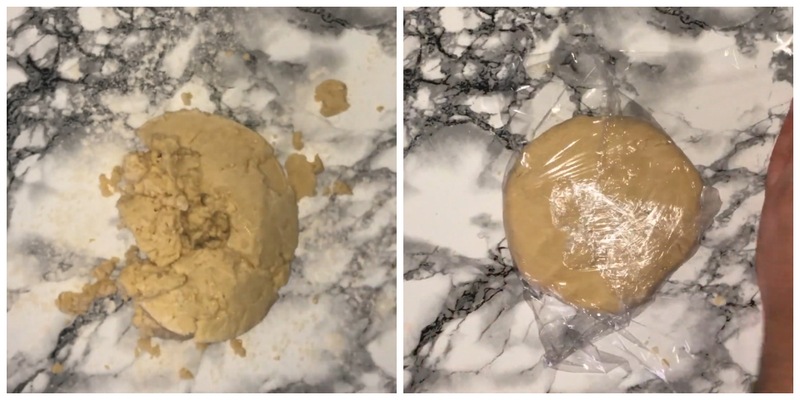 After the hour in the fridge, take your dough out of the fridge and chop it roughly in half, keeping half out and rewrapping the other half and placing back in the fridge until you need it later on. Roll out your dough until you’ve achieved 5mm in thickness, once achieved, cut out your circles of pastry for each pie. Use a 3 inch cookie cutter, this gets your the perfect shape/amount for each cup on the cupcake pan. I only made 6 but you could easily make around 8-10. Once you’ve got your pastry cases in the cupcake tin, you’ll then want to fill them with a generous amount of the homemade mincemeat, you can go as far as just a few millimetres below the top of the case (the more the better I say, but go with your preference). 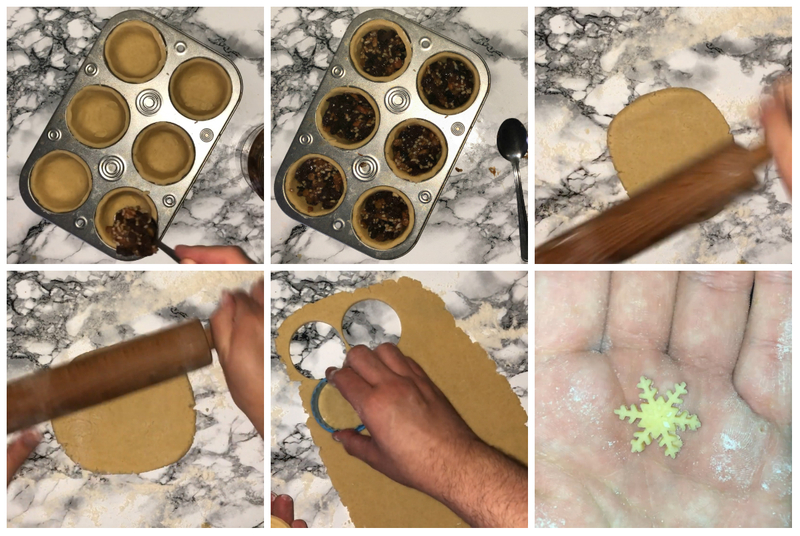 You can then work on the ‘lids’ which is a smaller circle cut out (around 1.5 – 2 inches), then place on top of each mince pie and secure in place by crimping the side of the pastry case and the pastry lid together with a fork, repeat for all your mince pies. You’ll want to egg wash your pastry (this helps to make your pastry bake a better golden brown colour), to make the egg wash, crack an egg into a small bowl and beat until its all combined. 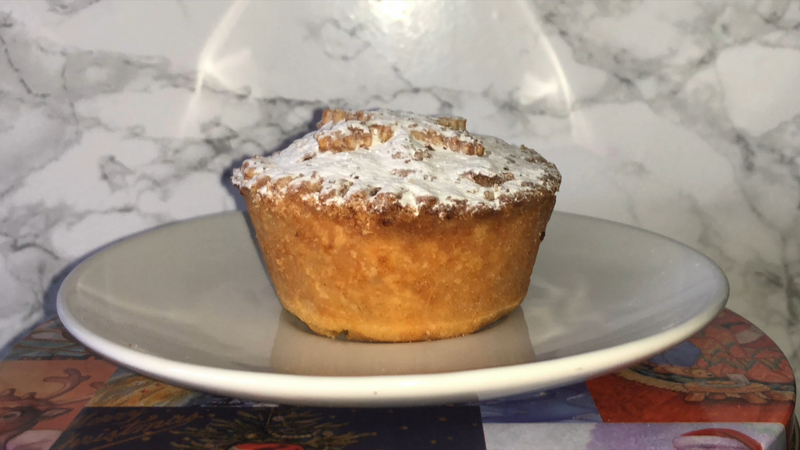 Use your pastry brush and give the tops of the mince pies a generous coating with the egg wash.
Just before you use the last of the pastry, stab a hole into the centre of each mince pie, this is to release any steam that may build up while they bake. You can then partially cover the hole with small cut out pastry decoration, I used a small plunger cutter do this but its completely optional. Egg wash the little cut out, then place into your preheated oven and bake for 20-25 minutes or until the pastry is a nice golden brown. Start by doing some prep work by preheating your oven to 180˚c/350˚f, weighing up your ingredients into small bowls and prepare any equipment you’ll need to use. Start the recipe by making your pastry. Crack an egg into a small bowl then add the sugar and mix the two together until the sugar has dissolved in the egg, set aside until later on. Into a large bowl or food processor, place the flour, salt and butter then combine them by rubbing the butter into the dry ingredients or pulsing them together. Once they are fully combined, add in the egg/sugar mix from earlier on. Mix in or pulse together until they are almost fully combined, then turn out onto a floured surface and knead until a clear dough forms. Once you’ve got a clear dough, wrap the flattened ball of dough in clingfilm/plastic wrap and place in the fridge for an hour to chill. This give the gluten in the dough time to relax and for the butter to firm up. After about an hour, take your pastry out of the fridge and cut in half. Keep one half out and wrap the other back up and place in the fridge until you need it later on. Roll out the pastry on a floured surface until its about 5mm in thickness (this is the ideal thickness). Take a 3 inch cookie cutter and cut out your circles. I made 6 mince pies but with this amount of pastry you could easily make 8-10. Take your pastry circles and place them into the cupcake tin. Work and manipulate the dough to fit into the shape of the cupcake tray, repeat until you’ve got all your pastry cases done. Fill each mince pie almost to the top with the homemade mincemeat. Repeat this for each mince pie. With the remaining pastry, roll it out until slightly thinner than 5mm then cut out some more circles but this time they are smaller, around 1.5-2 inches (whichever fits just right on top of the mince pies). Crimp the pastry case and the lid together using fork. This secures the lid on top and stops it from popping off while baking. Once the lids are on, egg wash the top of each mince pie (the egg wash is just a beaten egg in a small bowl). Stab a hole in the centre of the mince pie, this is to allow the steam to escape. Then partially cover the hole with a small pastry cut out that has been made with a small plunger cutter. This is optional but adds a homemade touch to the mince pies. Egg wash the cut outs if you use them. Bake the mince pies in your preheated oven for 20-25 minutes or until the pastry is a nice golden brown colour. 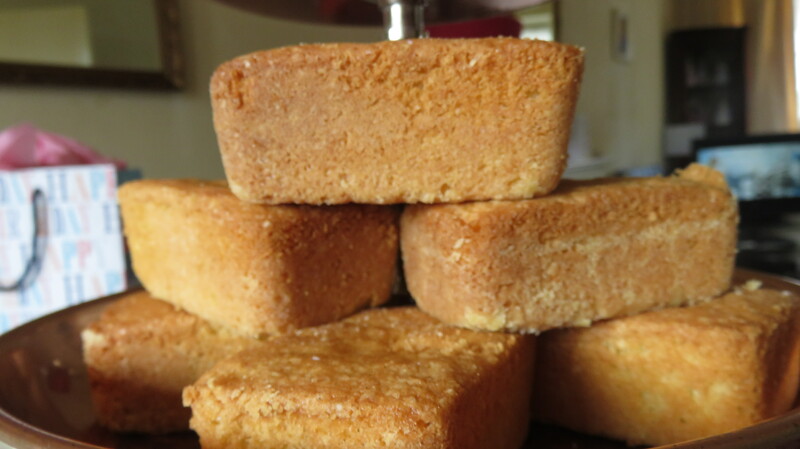 Once baked and cooled, just before serving you can give them a dusting with icing sugar and enjoy on there own OR serve with some cream or ice cream. 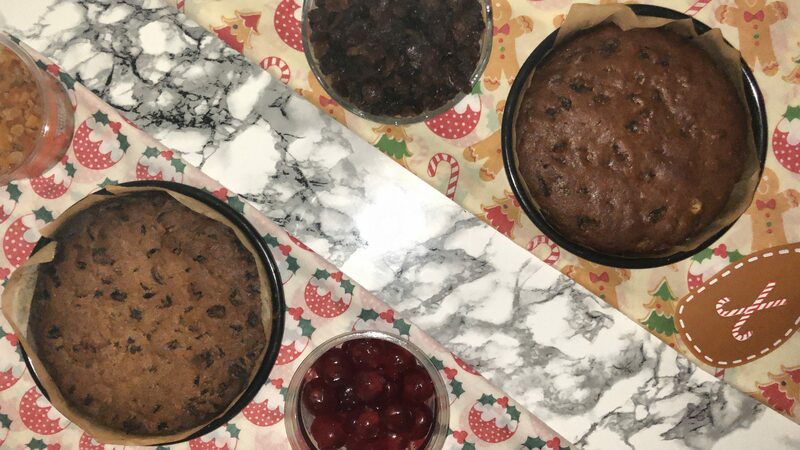 If you’re here looking for a simple fruit cake recipe for whichever celebration, don’t worry I’ve got you more than covered. Today I’m sharing the 2 must have fruit cake recipes with you guys. As soon as December comes around, everybody starts going Christmas mad (whether its food or decorations) and normally people start getting their holiday baking started, often with a fruit cake of some sort. 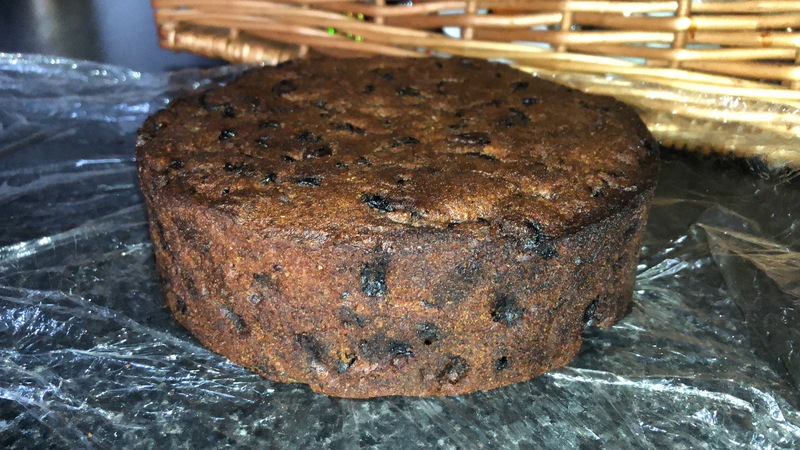 If you wanted to make it a more traditional ‘Christmas cake’, you’d actually bake it in July and feed the cake with alcohol until you intend on serving it, however, if you’re like most people you’ll just make one in the nick of time and that’s fine. The cakes doesn’t have to contain alcohol, so if you can’t or don’t want to use it – leave it out and feel free to make your cake closer to the occasion. If you do use the alcohol, it’s best to stick to darker coloured spirits like dark rum, brandy, whiskey or sherry. Either of these cake recipes can be made for Christmas cakes, Simnel cake or for birthday/wedding cakes. 85g Glace cherries, halved or quartered. 50g Almonds (ground, nibbed or flaked will work well). 2 tsp Ground mixed spice. Do some prep work ahead of starting. Weigh up all your ingredients into bowls (there are a few different bits here’s helps save confusion later on, plus it eliminates the chances of making a measuring mistake), preheating your oven to 150˚c/300˚f and lining your cake tins with some parchment paper – set them aside until later on. To start your cake, place the butter, light brown sugar and black treacle into your mixing bowl and beat them together until they are well combines. You are not looking for light and fluffy with this mix. Add in your eggs, one at a time beating well in-between each addition. Once the eggs have been fully incorporated, give your bowl a good scraping down. This is to help incorporate any bits that may not have been fully worked in from earlier on. Sieve in your flour and spices together, straight into the bowl. combine the butter mixture with the dry ingredients just until they are combined. Scrape down the sides and bottom of your bowl again. Add the currants, sultana’s, raisins, glacé cherries, mixed peel and almonds and mix to incorporate – just mix until the fruit is equally distributed throughout the cake batter. Scrape down the bowl again, just to work those last few bits in. Divide the cake batter between the two 6 inch cake tins that you prepared earlier on. Place the cake tins into the preheated oven and bake for 50-55 minutes (your oven may require more or less time, all ovens are different). 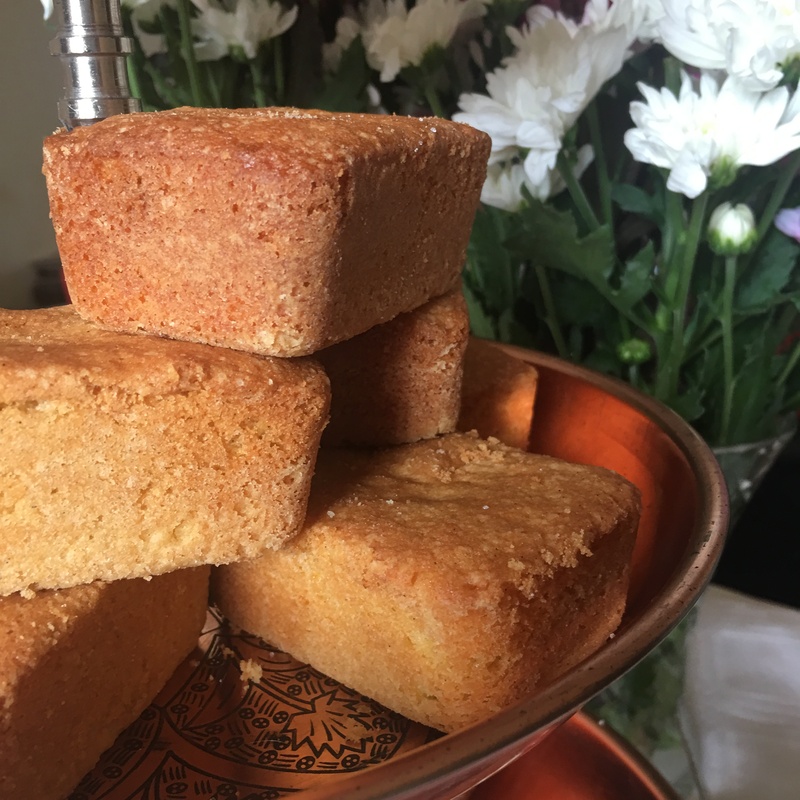 Once the cakes are fully baked and out the oven, allow them to cool in the tins for a short while before transferring them to cooling racks where they can cool completely. Once fully cooled, feel free to pour over a small amount of alcohol (up to 45ml) then wrap the cakes in clingfilm/plastic wrap and feed once a week with the same amount of alcohol until you serve it. 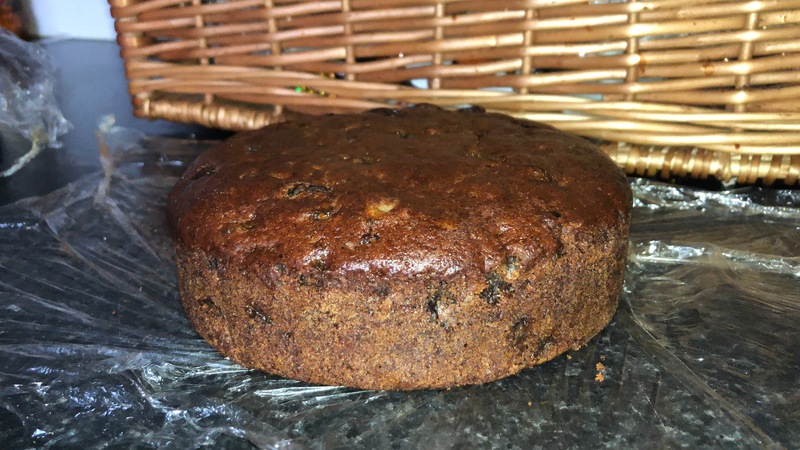 This is much more similar to a traditional fruit cake recipe you’d see round Christmas time, it’s not exactly traditional but hey, who’ll notice? Method two is completely different, it doesn’t require you to use the creaming method (where you beat together the butter and sugar, then incorporate the eggs). 3 tsp Ground mixed spice. Do some prep work to save faffing around later. Weigh up all your ingredients into small bowls, preheat your oven to 150˚c/300˚f and line two 6 inch cake tins with parchment paper. To start on the cake, you’ll want to get yourself a medium saucepan and place the water, butter, light brown sugar, fruit and the spices into it. Place the saucepan on the hob over a medium-high heat, until everything is melted and has come together. Stir continuously once everything starts to melt. Once melted, take off the heat and allow to cool for around 10 minutes. Once the mixture has cooled down, add in your flour and bicarbonate of soda, passing it through a sieve first. Then mix until they are fully worked in. Then add in your egg, mix that in until it’s fully worked in. Divide the cake batter between your lined cake tins, you can do this by weighing the cake batter out, then dividing it by two. This method is much more accurate, as long as you’re using digital scales. The other method is to simply eye ball the amount you’re putting into each tin, if you’re feeling more confident. Place in the preheated oven and bake for around 40-45 (but check yours anytime after 40 as they may need more or less time). Once out the oven and fully baked, allow to cool in the cake tin for a short while, then transfer to a cooling rack to cool completely. Once cooled, you can pour over a small amount of alcohol (up to 45ml) then wrap them up in clingfilm/plastic wrap and feed once a week with the same amount of alcohol until you intend on using the cake. So, I hope you have enjoyed this blog post, I will leave the video tutorial down below, if you’re interested checking it out! If you’re looking for the best and most simple Madeira recipe, I have it right here. I’m making them into mini loafs but feel free to make it in a standard loaf pan. This recipe is so easily made, you don’t need to be a master at baking to get it right. I used my stand mixer, but if you don’t have one, don’t worry. You can use either an electric hand mixer or even a wood spoon, it may just take a little more effort but completely worth it in the end. One other thing I should mention, is that the mini loaf tin that I’m using was picked up from a supermarket, if you don’t have one, feel free to use a large loaf tin and adjust the baking time (to around 45-55 minutes, all depending on your oven). Just before you get into making these, there is some prep work that’ll save you time and from making mistakes. Start by preheating your oven to 180c/350f, weighing up your ingredients and preparing your tin by buttering and flouring the tin and setting that aside while you make your cake batter. So, to start the mixing process you’ll want to place your butter and sugar into your bowl of choice and beat them together until they are well combined. You’ll know once you’ve achieved this, the mixture will become lighter and fluffier in colour and consistency. Once you’ve achieved that, give your bowl a good scrape down, this will help to incorporate any bits that wasn’t fully worked in earlier on. You can then start by adding in your eggs, one at a time beating well in between each addition, you’ll want to repeat this for the remainder of your eggs and once they are fully worked in, give your bowl another good scrape down (you will notice a pattern with me scraping down the sides of my bowl whenever I incorporate another ingredient). Once your bowl if fully scraped down, you can then start with your dry ingredients. Over your mixture, you’ll want to add around half of your flour/baking powder, first passing it through a sieve. Mix that in over a low-medium speed, just until its incorporated, then add in the boiling water, a tablespoon at a time. Repeat this stage with the other half of your dry ingredients. Don’t forget to scrape down your bowl again, to incorporate any flour that has worked its way up the sides. You’ll then want to place the cake batter into the prepared tin and bake in your preheated oven until baked (or until a tester inserted comes out clean. All ovens are different and require different baking times and temperatures). Once removed from the oven, allow to cool in the tin, then once fully cooled, remove from the tins by running a knife down the sides of each loaf and enjoy them there and then or store in a airtight container and eat within 3 days. 1 tsp Vanilla bean paste/extract. 1 1/2 tsp Baking powder. Start by preheating your oven to 180˚c/350˚f, weighing up all of your ingredients and preparing your tray by buttering and flouring each cavity. Into your mixing bowl of choice, place the butter and sugar and beat them together over a medium-high speed. You’ll know once they are well combined, they’ll become lighter and fluffier in colour and consistency. This normally takes a few minutes. Once you’ve achieved light and fluffy, give your mixing bowl a good scrape down. This is to incorporate the bits that may not have been fully worked in. You can next start adding your eggs, one at a time beating well in-between each addition, then add the vanilla and mix to combine. Scrape down the sides and bottom of your bowl. Next add in half the amount of dry ingredients and mix on a low-medium speed until incorporated, at this point add your water a tablespoon at a time until its fully incorporated. Repeat this stage with the manning ingredients. For convenience transfer your cake batter to a piping bag and pipe into your prepared tin, on the other hand if you don’t have piping bags, don’t worry. Just spoon equal amounts of batter into your tin and level them off as best you can. Place into your preheated oven and bake for 15-18 minutes (or until a tester comes out clean when inserted). Allow them to cool completely before intending to remove them from the tin. Once cool enough, run a knife around the edge and they should come away from the tin with ease. Enjoy that day or within 3 days on its own or with custard or ice cream. Thank you so much for checking out this post, please check out my others. If you have any suggestions for future blog posts, feel free to let me know and I’ll see what I can do. I just want to say a massive thank you to my friend Rukh, she deserves this thank you for all the support she’s given me! If you remember having this cake at school, you must make this as soon as possible. I promise you won’t be disappointed. Now I’m not sure if this is a local thing or national but if you went to school in the UK, you might recognise this. This recipe has been around for quite some time, a lot of people who went to school in the 70s, 80s, 90s or 00s should remember this! It’s super simple to make and doesn’t take that long either – what’s not to like? 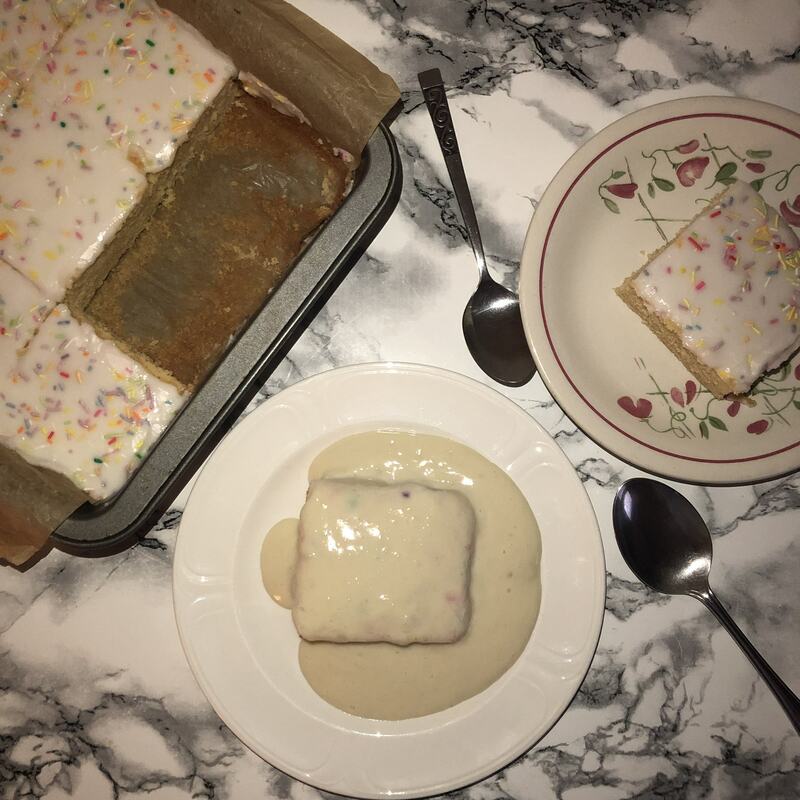 This cake is just one of the few old school favourites I remember being offered when I was back in primary school – others include chocolate concrete & pink custard, cornflake tart and chocolate hedgehogs. This recipe is my take on the traditional version of the old school traybake, it’s a really quick, easy and cheap recipe to make and will go down well with many who get to try it. If you’re not sure what this cake is, I’ll give you a quick run down. This cake is a basic sponge cake which is topped with a even simpler glacé icing and best of all, it can be made and finished within 60 minutes – what’s not to love? For the cake, I used the all in one method (which isn’t as preferred as the creaming method), this is where you place all of your ingredients into a bowl and mix them until a cake batter has formed compared to the creaming method, which starts with you creaming the butter and sugar together, then gradually adding the egg then the dry ingredients. You can use either method, they will both work well and usually I would use the creaming method for cakes. The icing is a simple glacé icing or water icing, which is just icing sugar and water. It makes for a sweet and crisp icing the works remarkably well with this cake in particular. 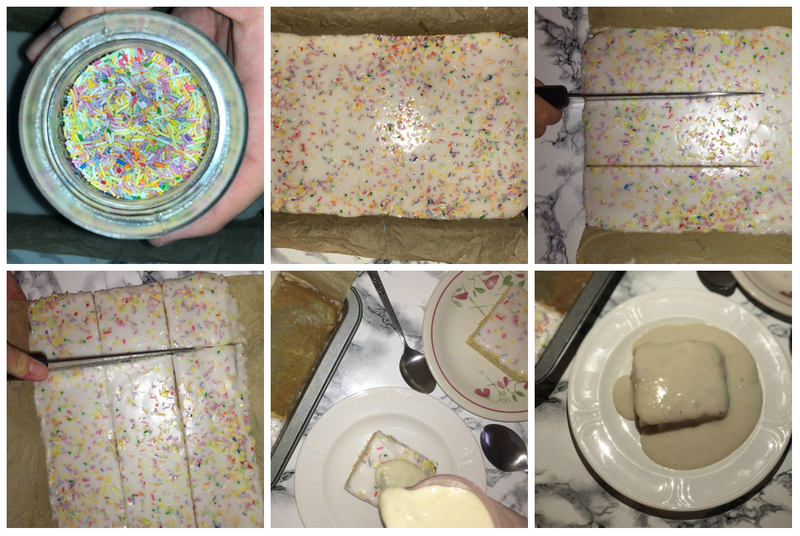 You pour this in the centre of your fully baked and cooled cake, then spread it out using a cranked/offset spatula or the back of a spoon to spread and level the icing as best you can and finish it with the sprinkles – this cake is so simple, you don’t need to be a master baker or anything. At school this cake would be served with custard, which is a welcome addition. Water (work a teaspoon at a time, until its perfectly spreadable). Start by doing some prep work. Preheat your oven to 180˚c/350˚f, weighing up all your ingredients and preparing your tray with butter and flour, which is either 8×12 inches or 9×13 inches would work well (if you’re not using a disposable tray which is roughly 8×12″. These can be found in the supermarket 6 trays for £3 or so). Start by placing all your ingredients into a large mixing bowl and mix together on a low-medium speed to start with, then working your way up to a medium-high speed until everything is combined and a clear dough has formed (there shouldn’t be a trace of a single ingredient). If you find that your cake batter is a little too thick, add in your milk, a little a time until the cake batter is slightly more spreadable. 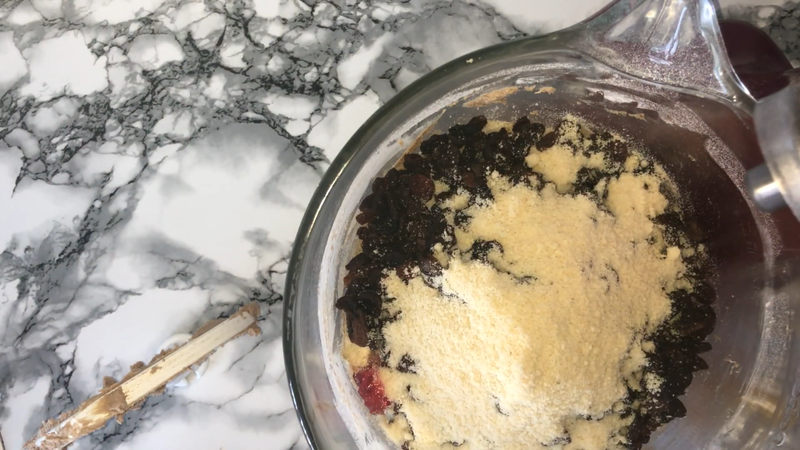 Give the bowl a good scraping down, then mix in any ingredients that haven’t been fully worked in – trying your best not to over-mix the mixture (otherwise the cake will be tougher in texture). Add the cake batter into the tray and level it out as best you possibly can using a small offset/cranked palette knife and then place into the oven and allow to bake for around 25-30 minutes (or until a tester comes out clean). Once out the oven, allow to cool completely before finishing. Into a medium size bowl, place in the icing sugar and a teaspoon of water, mixing well. Keep adding a teaspoon at a time until you get to a thick but loose enough to spread. Take your cooled down cake and place the icing into the middle of the cake then spread it out as evenly as possible using a offset/cranked palette knife. Try to give the cake as level coating as possible. Once you’ve got your icing spread out, sprinkle a generous amount of rainbow sprinkles onto the top. That’s all you need to do to make this cake, its quick, easy and cheap – what’s not to love? I hope you get to make this soon! (Video tutorial if you’d like that over reading or want to read and watch, haha).